To manage your SPAM settings, log into webmail (view how here). Click on the SETTINGS link, then choose SPAM SETTINGS from the left column. Most people want to keep spam out of your inbox. However, if you want to monitor your spam closely and you don't like to log in via webmail check the radio button marked "Include [SPAM] at the beginning of the subject line." The spam will now start arriving in your inbox with a [SPAM] prefix in the subject. 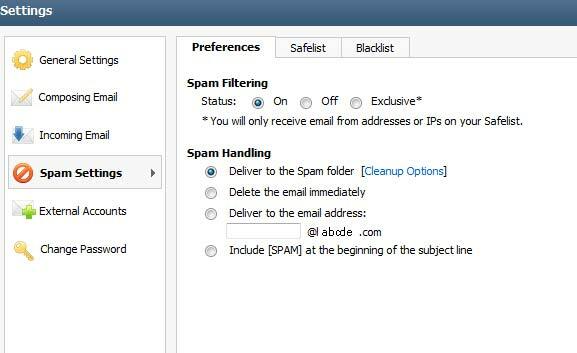 You can set up Rules and Filters in your email program to funnel your spam into a specific folder in your email program.